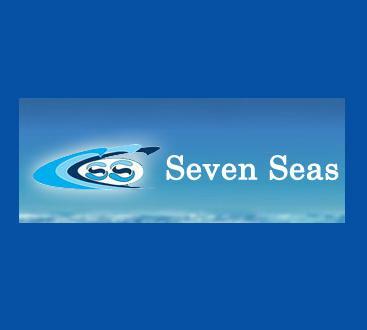 Seven Seas was established in Dubai back in 1998, when the owners of this group felt that there is a huge gap to fill in the marine industry of Dubai. Because at that time there were not many services and products available on the beaches of Dubai, so Seven Seas imported all essential equipments from abroad by keeping the requirements of their customers in mind. More importantly, Seven Seas has well trained staff members, who know how to operate this modern equipment. During this 14 years service, Seven Seas has been able to deliver excellent service to its clientele whether they are tourists or inhabitants of Dubai. This had happened because Seven Seas has focused on both locals and foreigners at the same time and most importantly on the safety of customers. This well known marine group offers wide range of products and services on the beaches of Dubai, which includes boats, yachts, jet ski and waterpillar (it is a watercraft that is pedal-powered that designed in a way so it can move swiftly and smoothly over water). In addition to this, Seven Seas also offer cruising and fishing services, which gives both locals and tourists an excellent opportunity to spend wonderful leisure time at sea. Operational hours are from 9:00 am to 7:00 pm and it opens on all days of the week. 31 A Street, Umm Suqeim 3 - Dubai - United Arab Emirates. Seven Seas’ office is situated beyond 2.5 kilometres range from the nearest metro station therefore best means to reach this site is either by car or bus. 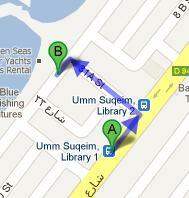 Umm Suqeim, Library 1 - Dubai bus stop is 4 minutes walk and 350 meters journey from Seven Seas. Bus numbers that serve this bus station are 8, 88 and X28 through which a person can land at Umm Suqeim, Library 1 – Dubai. However, to get to Seven Seas office bus user need to head in the northeast on شارع جميرة‎/D 94 towards 31A Street from this bus stop and then turn left onto 31A Street. In order to make a left turn afterwards that will lead the bus user straight to the destination, located on the right side. View map for directions.